Saving The Miami Circle ! 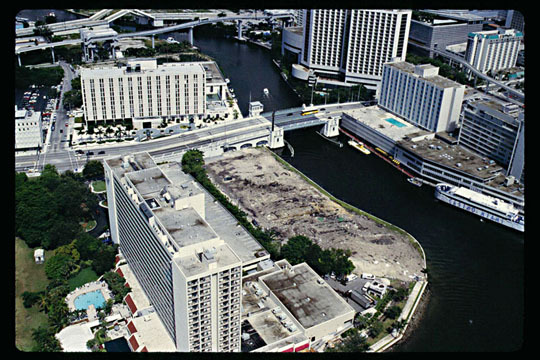 Slightly less than a year ago, in the summer of 1998, a discovery was accidentally made by a surveyor named Ted Riggs, in "high-rise" downtown Miami, Florida: a perfect ring of 30, ancient, geometric "holes" -- carved in the limestone at the mouth of the Miami River . Photo: "Miami-Dade County Historic Preservation Division"